Pie Club Life Lesson: When someone gives you a slice of pie, and it looks like there may be pieces of celery inside, take a bite anyway and be prepared for deliciousness. 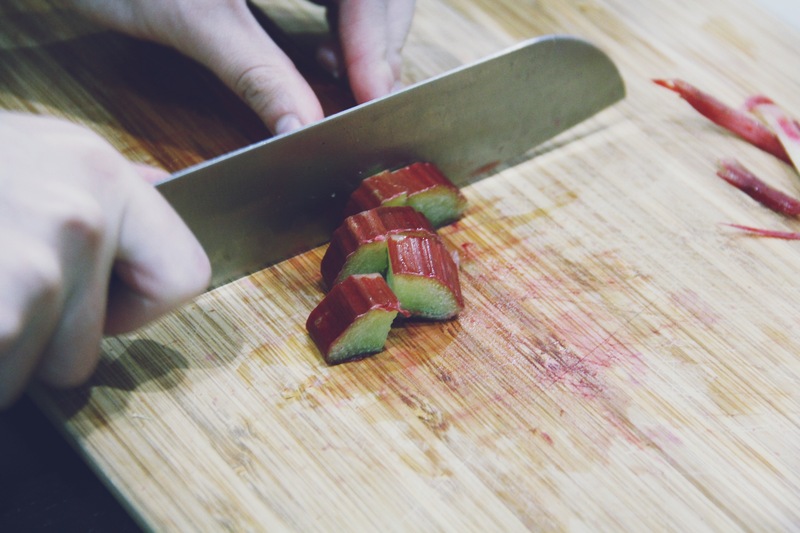 That strange red celery is actually rhubarb. 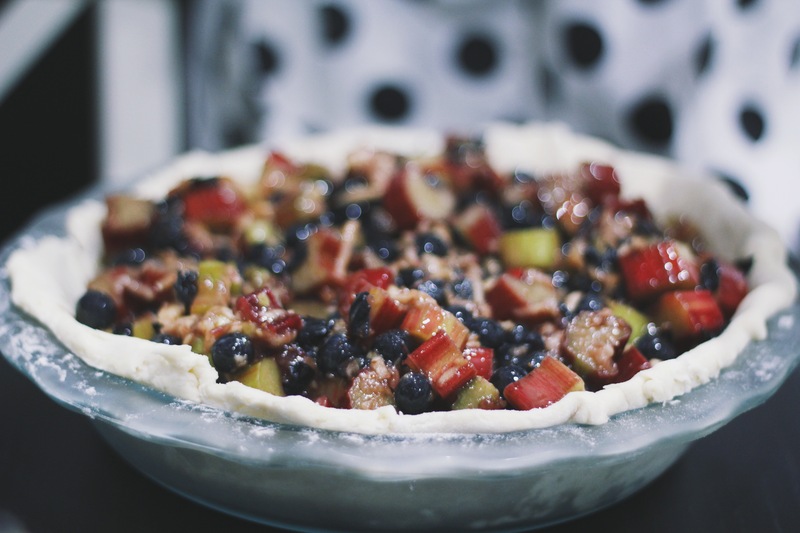 Our June Pie Club featured a Bluebarb pie, the drool-worthy combination of blueberry and rhubarb. 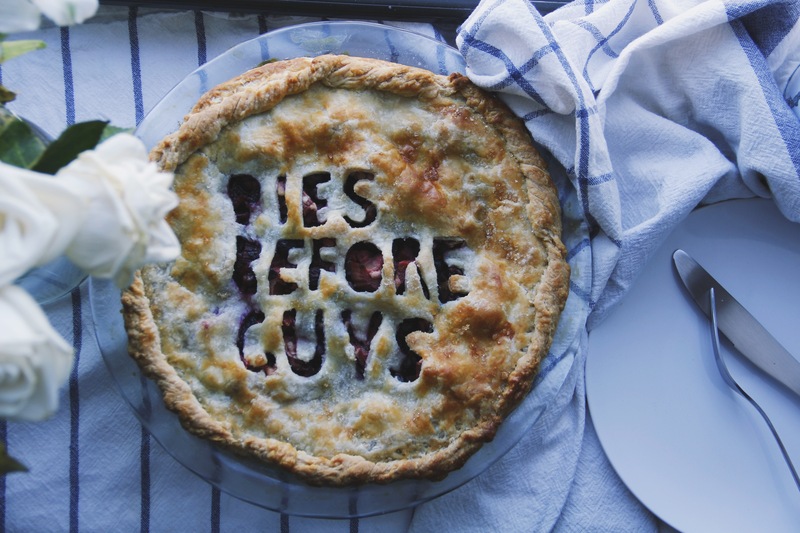 This month we got a little creative with the crust…because pies always come first. Stay tuned for next month’s Pie Club where we’ll tackle a strawberry balsamic concoction.